TSC s heavy duty low cost desktop printer is here now! While competitors produce printers also at very low price points they are described as light duty where the TA-210 is a heavy duty printer that is based on TSC s dual motor design that they ve been producing for 15 years! The dual motor design (one for the ribbon one for the labels) allows it to handle a much heavier workload - in fact TSC suggest it can handle around 5 times the workload of their regular desktop printers. 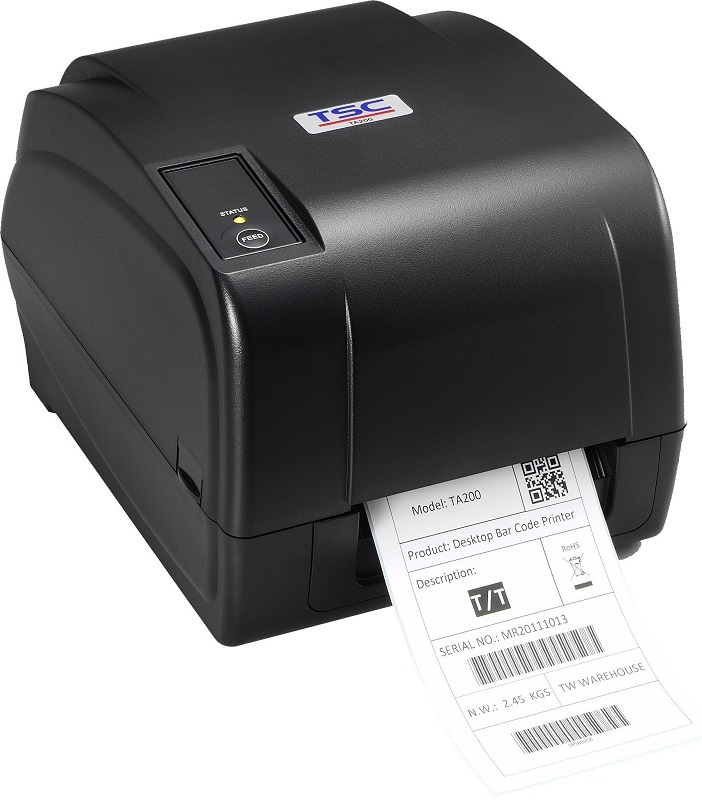 The TA-210 is a very versatile printer in that it has a full range of accessories including cutters peel off module and external roll holder. All of which can be fitted to an existing printer so no need to order in a special version of the printer if an accessory is needed.